The diesel engine is once again back under the hood of Chevrolet cars, and this time it is a good thing. The Cruze compact sedan boasts a wide range of trim packages and since last year offers a turbocharged 2.0-liter clean diesel engine for clean, powerful motoring with fuel economy of up to 46 mpg on the highway. Chevrolet’s first foray into the oil-burning engine culture for America had disastrous results. That 80s engine was a converted gasoline powerplant and folks in the North American market still have a bad taste in their mouths because of it. Fast forward several decades and we now see a combination of Italian and German engineering under the hood of the next-generation of diesel power for the Bowtie that – in a nutshell – works. 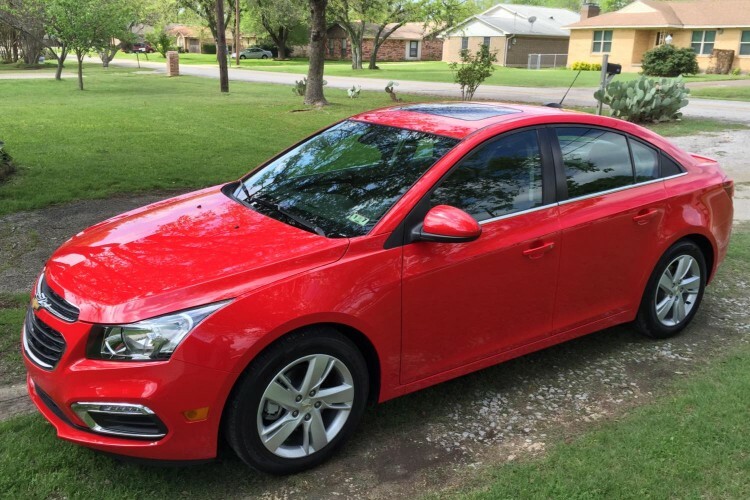 The Chevrolet Cruze is a global vehicle from the General that has quickly become quite popular. A base Ecotec turbocharged gas motor results in excellent fuel economy with significant power for its segment. 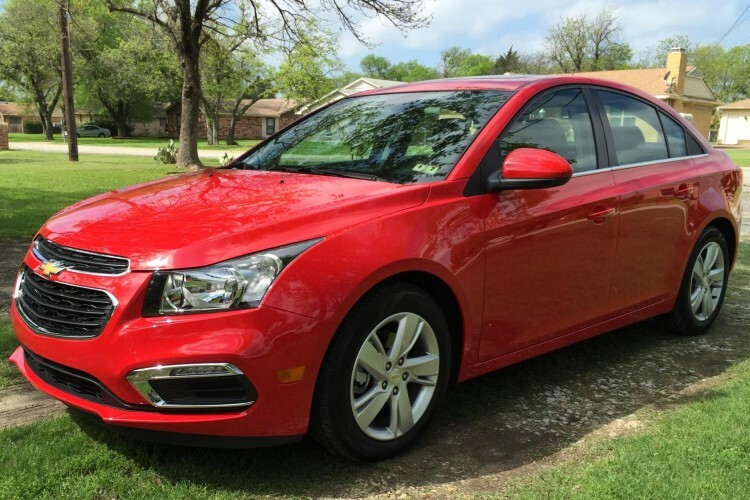 We were impressed with the last Cruze we tested that returned better-than-rated fuel economy figures. 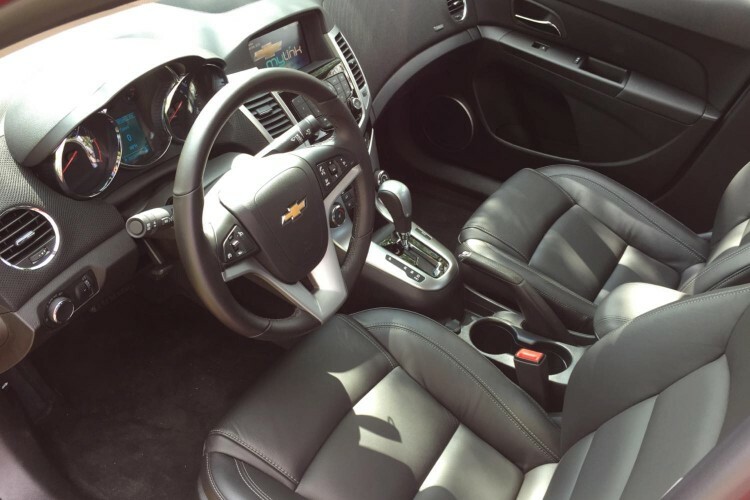 Our most recent review unit, the 2015 Cruze Diesel, featured styling and technology updates that Chevrolet gave all its latest Cruze models and featured impressive power while delivering a very good driving experience. That 2.0-liter four-cylinder turbo-diesel engine under the hood generates an impressive 151hp and 264 lb. ft. of torque to the front wheels via a six-speed automatic gearbox. The EPA rates the vehicle for 27 mpg city and 46 mpg highway and the maximum range for this car is a generous 717 miles on one tank of fuel. There is also an overboost feature on this engine that allows a temporary torque increase up to 280 lb. ft. for periods up to 10 seconds. During our week of testing we barely saw the fuel gauge move. The engine does utilize diesel exhaust fluid injection and the tank for the urea-based liquid is located in the spare tire well in the trunk (with the spare being replaced by an air compressor pump). 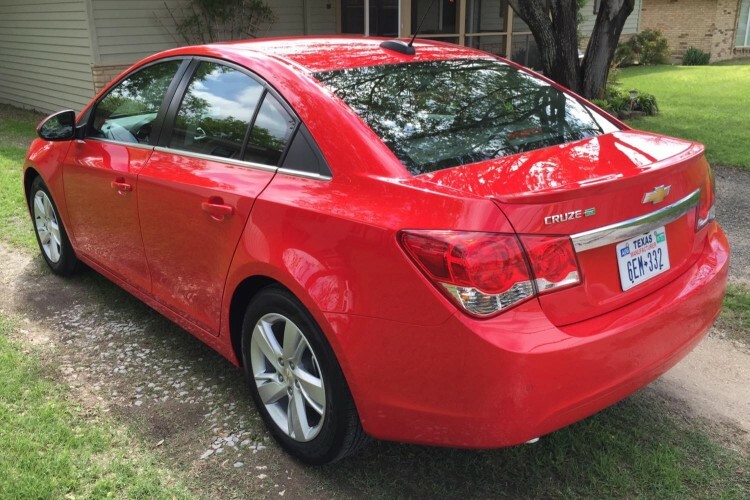 Cruze is a compact car that does not feel compact or confining. It has the look and feel of a midsize sedan and offers just as many amenities and creature comforts. The Cruze Diesel package includes the same features as the 2LT gas siblings which means Meridian leather seating, leather interior appointments, remote start, driver info center, OnStar driver information services and 4G LTE with Wi-Fi, SiriusXM satellite radio, Chevrolet MyLink with hands-free smartphone integration and app suite, Bluetooth connectivity, Apple Siri integration and 7-inch color touchscreen. As if the list of standard features were not enough on the Cruze Diesel that arrived in our driveway, Chevrolet added the Sun and Sound package (just like it sounds, power moonroof and audio upgrade) along with the Enhanced Safety Package and rear vision camera system. Pricing for the 2015 Chevrolet Cruze Diesel begins at $25,660 with this loaded tester arriving with a final sticker of $29,105. Yes, diesel fuel does cost more at the pumps these days but with the added savings from the fuel economy, overall fuel costs come out to about the same. The diesel nightmare is over and the drought of a diesel engine in a U.S.-branded automobile has ended. The company that turned our wallets away from diesel in America has brought it back and has redeemed itself. 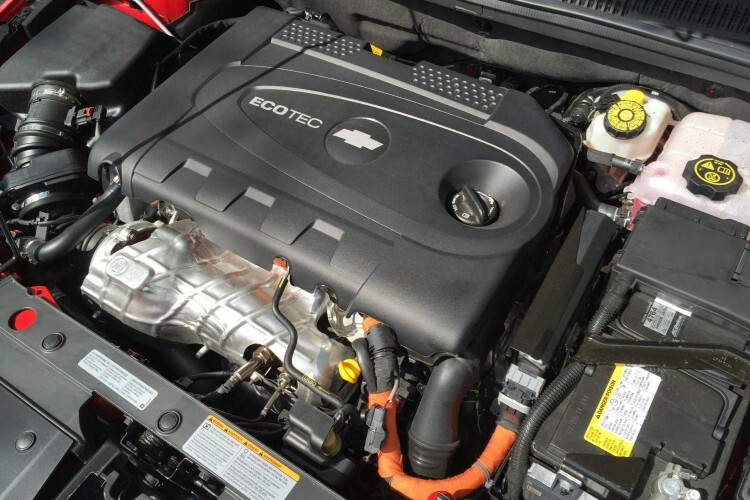 This is the 21st century, this is clean diesel, and this is the 2015 Chevrolet Cruze Diesel.